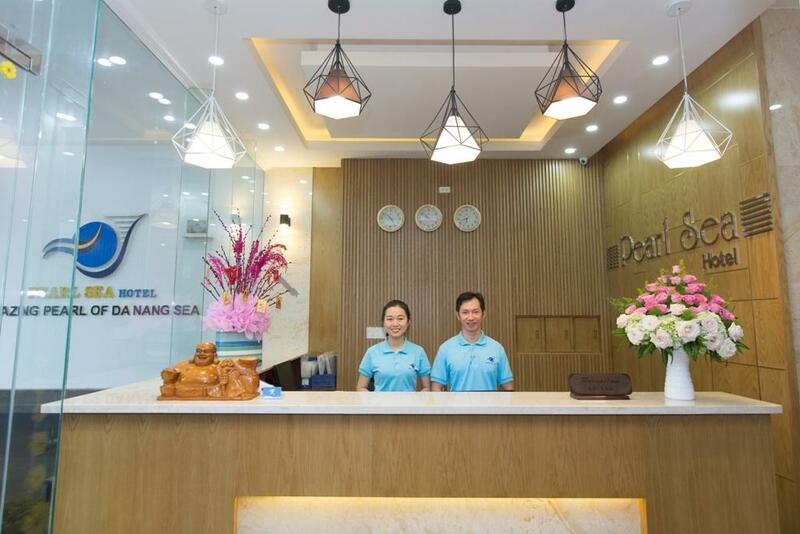 "Front desk is Very friendly, 5 min walk to the beach,"
Have a question for Pearl Sea Hotel? "Location was quiet and very close to the sea." "The staff are friendly and the hotel is clean." 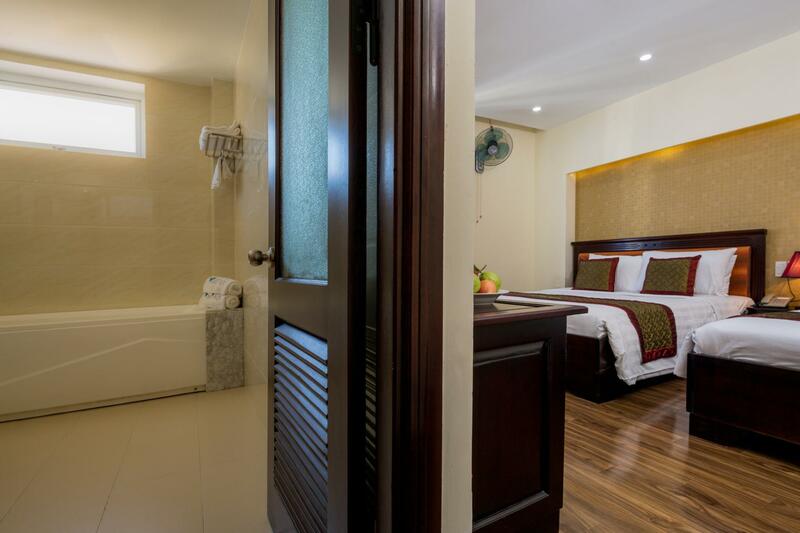 Renovated in 2016, the Pearl Sea Hotel guarantees guests a pleasant stay whether in Da Nang for business or pleasure. The excitement of the city center is only 2.0 km away. 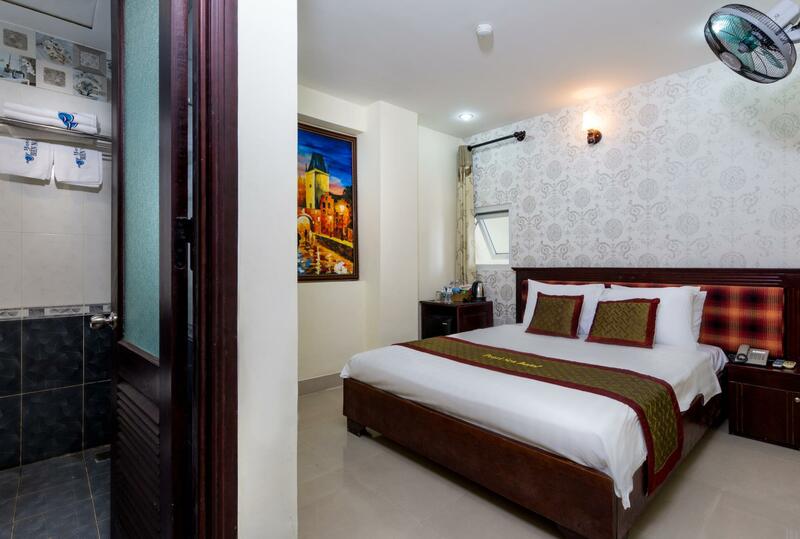 No less exceptional is the hotel's easy access to the city's myriad attractions and landmarks, such as Pham van Dong Beach, Tuoi Tre Viet - Day Tours, Tram Y Te Phuong An Hai Bac. At Pearl Sea Hotel, the excellent service and superior facilities make for an unforgettable stay. Top features of the hotel include 24-hour room service, free Wi-Fi in all rooms, gift/souvenir shop, postal service, taxi service. In addition, all guestrooms feature a variety of comforts. Many rooms even provide clothes rack, linens, mirror, slippers, towels to please the most discerning guest. Besides, the hotel's host of recreational offerings ensures you have plenty to do during your stay. With an ideal location and facilities to match, Pearl Sea Hotel hits the spot in many ways. "The hotel is very affordable and convenient as it is close t..."
Nice clean hotel, will stay again! 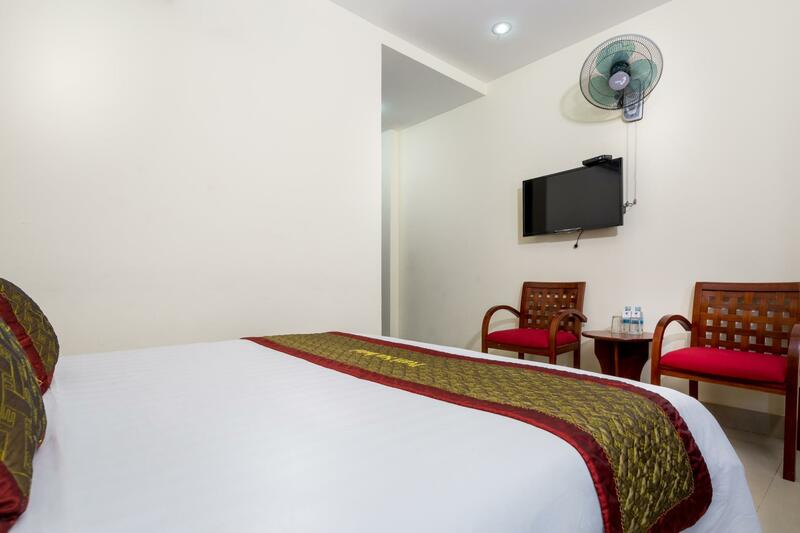 We got good deal on Agoda booking site for this hotel, so it was a real value for money. Room was very cheap ! However, the price matched the facilities. On the face of it - it was ok and seemed clean, but many things in the room were broken. If I had to pay full price I would have been a very angry customer :) On the plus side - we had a very comfortable bed, working air con. big screen TV and a sea view. Location was quiet and very close to the sea. SHOULD NOT stay in this hotel. We booked two Superior room, check in 20Aug for 1 night. Paid AUD 53 for 2 rooms. Lucky, it was only one night. Very old building, rooms were NOT clean. When we checked in, the bedsheet in one room still have blood stain. We had to call housekeeping staff to come and change it. -	Mosquitos were around in room, bathroom, public areas. They must provide MOSQUITOR SPAY in every room. -	Rats running in car parks. Terrible. Again- lack of pet control activities. -	Breakfast was a kind of very budget offer. Remember only bread, eggs, butter, Hủ Tiếu ( a Southern Style Noodle was cooked without any good flavor). Better NOT TO offer what you can not do good. -	…We don’t recommend this hotel to anyone. 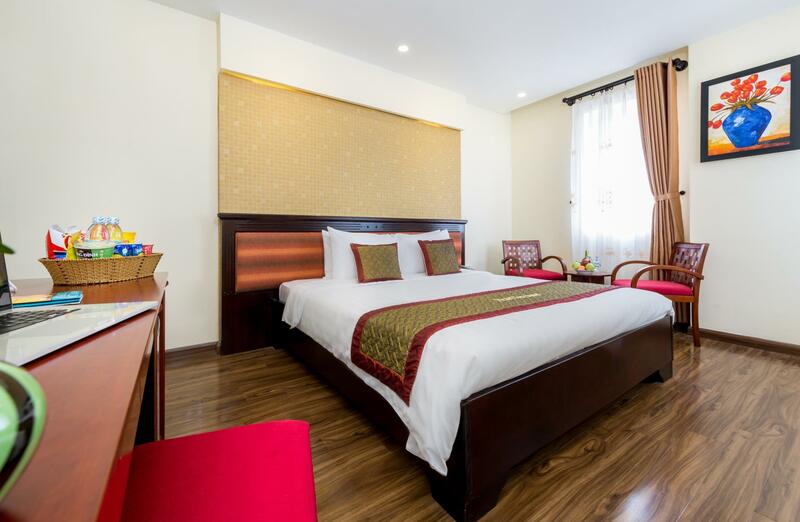 Before and after this Danang stay, we booked also homestay in Hoian and 3 star hotels in Sapa, Saigon, Hue, but this 3 star Dannang hotel room was the worst one. Try to avoid it if possible! NEVER COME BACK. The hotel is very affordable and convenient as it is close to the beach. The staff are friendly and the hotel is clean. I already wrote a review for this hotel before so in short the hotel was friendly staff and close to the beach but the only complaint was windows are way too light for people needing to sleep in or sleep through the day after work, partying etc. 6am the sun is punching through the light curtains. go on my first comments for more accurate reviews. Like a said, nice rooms with tv and satelitchannels! Very helpfull and serviceminded staff, scooters for hire at the hotel! In the groundfloor was a garage for the scooters, good because they are atraktiv for thiefs! Close to the beatch but a little bit off from the center of the town! Very nice bikeroads at the big buddha mountain! The breakfast was not so good do! Nice and neat. Friendly staff and very good location to all your tourist attractions. My family stayed there for 6 days where we were waking up to sweeping views of the ocean and seabreeze. The location was a bit far form the city centre but close to the beach which was good. The staff help organise tours and were very informal on the activities that were available in Da Nang. For a budget traveller, i would highly recommend this hotel. The only thing we thought needed improvement was the breakfast. Overall a great hotel. I enjoy my stay at Pearl Sea Hotel as the location is quite near the beach. The price staying here is also considered cheap, however staff here speak little English. You might need google translator when communicating with the staffs. Breakfast is only one meal option, not buffet. You may rent motorbike to roam around Danang city from the hotel. The hotel was nice but lost power a couple of times. The room heated up quickly when the airconditioner went out! The room was nice but there were many families with small children staying there making it a noisy stay. we stayed in pearl sea for 3 days. the hotel is not quite near nor quite far to the sea but in accepted distance that we can walk. the breafast is acceptable with the price, even better than other hotel at same price ranges. the staff is supportive. we arrived early in the morning but can get the room immediately, without waiting until afternoon. no english speaking staff ! no english restuarants near by,breakfast was noodle soup ! at least 2 km to a bar for a beer. if you like sea food and paying top prices for it than this is a town for you, the tv in the hotel went of for 3 out of our 7 day stay, and if you want wi.fi in your room stay on the 7th floor. checking in was easy, produce agoda's confirmation and we were settled with our room keys. if travelling in a group, there is a need to ask hotel staff to give rooms on the same floor. 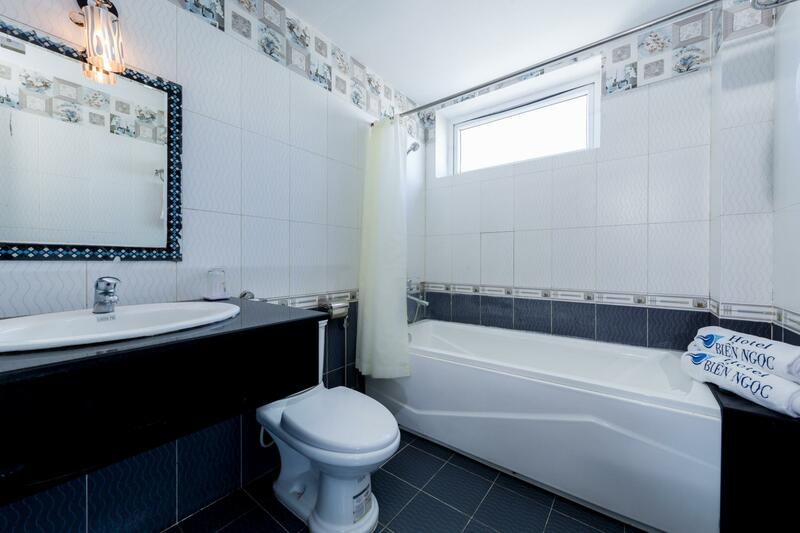 although there will be a slight price difference, the staff are very accommodating and will waiver it off subjected to occupancy rate wifi is fantastic here, however not all laptops can connect easily, problem unresolved. there also seems to be a dns error to log in to facebook pages. if you are hungry at night and require food, approach hotel staff for cup noddles to fill your stomach. location is a little difficult to get to as there are other hotels/motels in that area. please keep a copy of the name card located at the front desk in your pockets at all times when informing the taxi drivers. for those with a spirit of adventure, rent a motorbike and ride around there. the roads are mostly empty leading to this hotel and you can try riding on these roads for leisure before you head into the town area. The staff were very friendly and nice. no buffet but for the price what do you expect walking distance to the beach clean room. everyday cleaned room. in all l would return to this hotel.